The National are arguably one of the best studio bands making music these days. The Brooklyn-based indie band with a global appeal have been crafting their non-traditional rock sound for nearly 20 years, delivering genre-defining albums like Boxer (2007) and High Violet (2010). Now with their seventh studio LP, Sleep Well Beast, we examine where this “thinking person’s rock” band stands. Does this album indicate a positive shift in tone for the beloved American five-piece? Is this new effort their best since Boxer, a bookend to Trouble Will Find Me (2013), or a masterpiece unlike anything else in their catalog? We share our First Impressions below. Sleep Well Beast is out today via 4AD with purchase and streaming links here. The National are: Matt Berninger (vocals), Aaron Dessner (guitar/keys), Bryce Dessner (guitar), Scott Devendorf (bass), and Bryan Devendorf (drums). The National have been one of the most consistent bands for over a decade. I feel like it’s possible to make a case why any of their records are the best in the discography, especially starting with Alligator. For me, Boxer is one of those all-time great records, and the measuring stick for The National. While I absolutely love High Violet and Trouble Will Find Me, Sleep Well Beast is my favorite since Boxer. What I love about Sleep Well Beast is how familiar it feels, while also feeling completely fresh. There’s the silky smooth opener “Nobody Else Will Be There” with sampled finger snaps, followed up by a track that you could throw onto Alligator and not blink an eye when it comes up, “Day I Die”. The band makes a ton of noise throughout, too, with “The System Only Dreams in Total Darkness” and perhaps their loudest track, “Turtleneck”. Intertwined in the loudness are slower paced tracks like “Walk It Back”, which has this amazing ending to it. Speaking of amazing endings, the last minute of “I’ll Still Destroy You” elevates the track to a flat-out stunner. “Guilty Party” may be my favorite National song now. From the beautiful guitar work, to the intricate drum beat to even a little bass part at the end, it shows off why each member of the National are so highly regarded as musicians. Add in an incredible ending pairing of “Dark Side of the Gym” and “Sleep Well Beast”, there is no weak point to the record. 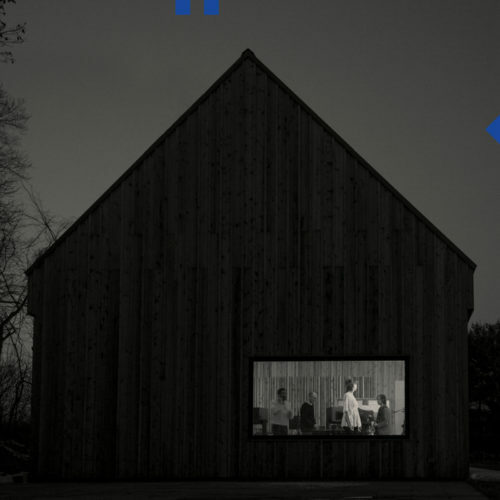 I absolutely love Sleep Well Beast, and compared to recent albums from some of their contemporaries, it becomes all the more obvious as to why I consider The National the most consistent band over the last decade. The National are such a wine-sipping band for me: they make complex music that’s meant to be contemplated and savored. Their albums aren’t “rockers” per se, but rather mini-therapy sessions where Matt & Co. guide you through a range of emotions. Each album eventually becomes season-specific with High Violet pairing nicely with spring rain and Boxer having more of an autumn feel. But this one might dethrone Boxer as my cool-weather go-to. It’s just sublime. The former is mellow perfection. The simple piano accompaniment perfectly complements the understated tone. It’s a crisp black t-shirt of a song, unadorned by extraneous layers. The latter, though, is brooding and elegant. It shares the introspective qualities of “Fake Empire” but with shimmering elements more reminiscent of the latest Radiohead. The band are at the height of their career with Sleep Well Beast. They have never sounded better. With the vocals of Matt Berninger and the brothers Dessner and Devendorf, The National have cultivated a deep, sorrowful kind of vibe over the course of their seven studio albums. Some are better than others, but with the release of their latest, Sleep Well Beast, they’ve seemed to recapture the spirit of the band that seemed weakened a bit on Trouble Will Find Me. Listening to the LP, it’s quickly apparent that not only are they rediscovering the voice and techniques that made them so interesting for so long, but there’s more urgency. Songs like “Day I Die” stand out as fast-paced slaps in the face, deliberate and somber in a way The National do so well. It’s also more experimental overall, which makes you wonder if that Grateful Dead tribute they were part of played some major role in their rejuvenated sound. Previously released track, “The System only Dreams in Total Darkness”, translates better as part of a cohesive album, and it makes the album flow in a sort of urgent yet reluctant way, like the band is happy to be finding things like work in the black of night. One of the best tracks, “I’ll Still Destroy You,” takes one part Postal Service and one part steady tempo. Leave it to The National to make a track that’s as interesting musically as it is lyrically. Overall, if you have been let down by their continuous touring for the last four years with no amazing new material, it’s time to get over it. The National are back with a strong album that reminds you why you fell in love with them in the first place. Enjoy; it’s worth the wait. It easily stands up to the genius strokes of art that are Boxer and High Violet. Very few bands get better over time, particularly one nearing 20 years together. The National, though, have defied the odds. Whereas most bands tend to have a hiccup around the fourth or fifth album, the Brooklyn quintet have yet to stumble. And as good as they’ve been with Alligator (2005), Boxer (2007), High Violet (2010), and Trouble Will Find Me (2013), Sleep Well Beast is on a whole ‘nother level. While album number seven isn’t as anthemic as the previous album, it’s also not nearly as brooding. It is, though, an incredible piece of artistry. Deeply layered and textured, Sleep Well Beast is unlike anything The National have created before. It is like moving from the Romanticism period to Impressionism where a sudden burst of color, light, and imagination is revealed. The gentle “Nobody Else Will Be There” introduces us to this new era, as Matt Berninger’s booming baritone takes on a surprisingly soft whisper. The drama is heightened on “Born to Beg” and the witty “Dark Side of the Gym”, which recalls the life of a wallflower in love. It’s not until the holy trinity of “I’ll Still Destroy You”, the incredibly beautiful “Guilty Party”, and “Carin at the Liquor Store”, where Monet, Degas, Renoir, Pissarro, and Manet serve up their masterpieces. Not everything has changed, as “Day I Die” and “The System Only Dreams in Total Darkness” prove the band can still create moving rock. They even turn things up several notches and channel Nick Cave and Warren Ellis with the booming “Turtleneck”, revealing another side of their brilliance and evolution. Here’s hoping The National continue to age like the finest of wines and produce albums that leave us amazed.